For the fourth and final instalment of our Outside (In)dia series, singer, songwriter, educator, and activist Martha Redbone brings her unique blend of Appalachian, Native American, blues, funk, and folk musical traditions to an evening of collaboration with Brooklyn Raga Massive. Part Cherokee, Choctaw, European and African American, Martha Redbone is a pioneering voice of Appalachian and Native American song. 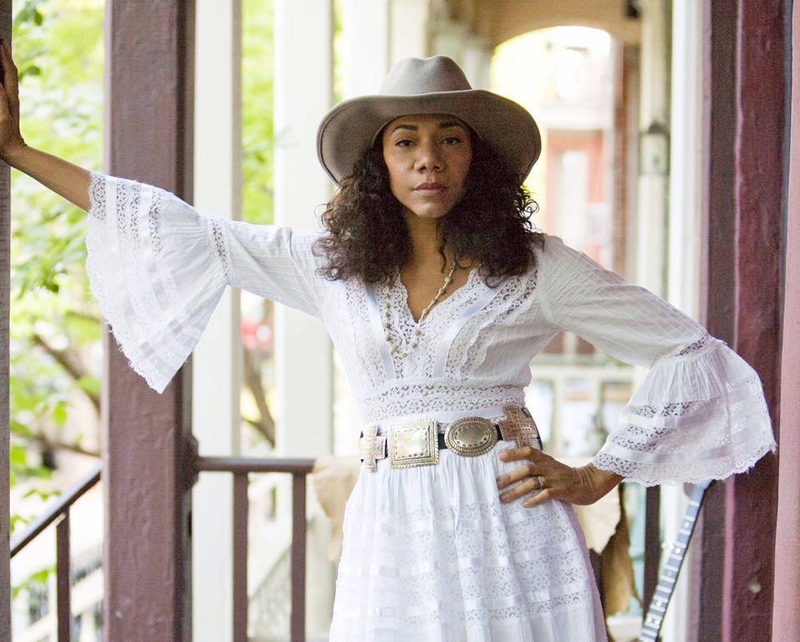 Redbone’s music flows equally from her own unique, award-winning blend of Native American elements with funk and her deep roots in Appalachian folk and Piedmont blues favored by the matriarchy that raised her on a rich sojourn from Clinch Mountain, Virginia to Harlan County, Kentucky and beyond to Brooklyn’s Dodge City-esque mean streets. In this debut collaboration, Redbone will be joined by Brooklyn Raga Massive’s community of Indian music-inspired artists for an exploration of Americana and raga intersections. This evening’s performance will feature a visual score by artist Nitin Mukul. Nitin Mukul (born in Lawrence, Massachusetts) has lived and worked in New Delhi, New York, D.C., and Los Angeles. He currently shows and curates with Aicon Gallery in New York. His interdisciplinary work bridges the mediums of painting, video, sound, photography, and printmaking.